As most piano teachers will know, there are often times when you feel as if you’ve hit a brick wall when it comes to gaining new students. Whether you’ve recently just decided to do teaching full time, some of your students have become masters and moved on or you just have more free time to teach – finding new students can drive you up the wall. However, with technology becoming a more integral part of everyday life, this opens up hundreds of new ways to find students and advertise your business. In this article, I’m going to focus specifically on your social media presence and how you can use it to expand your student base. I’m sure most people reading this will have heard of hashtags at some point in their life – but knowing how to use them effectively is a different story. Hashtags are most prominent on the social media channels Twitter and Instagram, however, they do make appearances on other channels. The following advice will be aimed towards Twitter in particular. Hashtags are key to mastering the use of Twitter. Users can search for specific hashtags to find any tweets that include it, it could be something as simple as #piano or could be more in depth such as #pianotechniques. How will this help you grow your business? Well, it involves a little initial research but there are a few tricks to improve your reach. Firstly, most cities/towns will have hashtags that relate to businesses and news within them, for example, in Sheffield, there is #sheffieldissuper. Including this hashtag in tweets will allow people to get in front of people who take an interest in Sheffield and what’s going on around the town. Follow Tim on Twitter by clicking here! Using the hashtag that exists for your city/town will allow you to have your tweet seen by people who are most likely in or around the area. This helps narrow the audience down to people who will be located in the correct area to receive lessons from you. There’s nothing worse than gaining interest from potential students to find out they live hundreds of miles away, with no possibility of using you as their teacher. Don’t forget, you can include multiple hashtags in your tweets which can help reach even more specific users. When you send out tweets announcing that you have space available for piano lessons, be sure to include #piano, #music, #lessons and any other relevant ones you can think of. 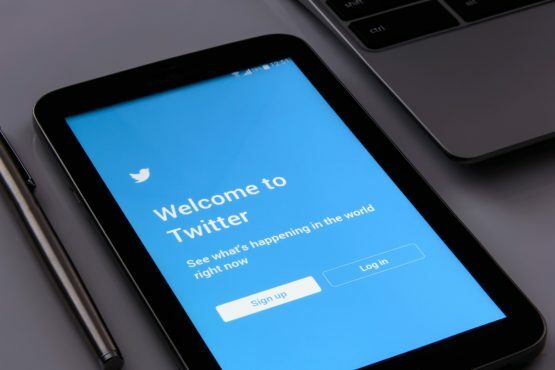 This can also help increase your chances of getting engagements, such as retweets and replies, which furthers the reach of your tweets to other users audiences. It can take a little trial and error to find the Hashtags that work best for you, but once you’ve stumbled upon useful ones, it can be a great way to spread word of your teaching. When you take a second to think about it, there’s no way we can deny the title of this song! Videos have been an ever-increasing part of modern life and you can find videos on just about anything these days. This does give you a fantastic opportunity to help grow your business however, while also having yourself a little fun. Youtube is one of the social media giants and has 300 hours of video content uploaded every minute. So, as you can imagine, people must love watching videos! Which is where you come in! I’m almost certain that you have at least a few favourite songs that you love to sit and play on piano when you’re practicing, the ones that you’ve played so many times, you could play it in your sleep. Now take those songs and record yourself playing them. This is most certainly easier said than done and it will require learning the basics of video editing, but it is definitely worth it. Not only will you have your videos in front of more people than you could ever imagine, you also get to show off you piano skills to potential students. When looking for any form of music teacher, students want the knowledge that their teacher is actually capable of playing the instruments themselves. What better way to check this then by watching some videos of them showcasing their skills? The important part is remembering to point potential students to these videos and show them why you’re the best teacher for them. Don’t feel you have to keep them exclusively on Youtube either, you can also share it across other social media channels (Facebook, Twitter, Instagram) and your website if you have one. You can do this by either posting a link to your Youtube video or uploading it directly to the other channels – try posting short ‘teaser’ videos on other channels and direct people to your Youtube channel to see the whole video. Bonus tip – Try recording songs across different genres if possible. Not only does this show you’re a versatile pianist, it also eliminates the possibility of students thinking you won’t be able to teach them the music they’re interested in. One of the more obvious ways to try and market yourself on social media, is to use the paid advertising options that most channels offer. As we haven’t touched upon it yet, I’ll be covering Facebook advertising in this section. Firstly, ensure that you have set up a Facebook page for you piano teaching business. This is incredibly straightforward and Facebook will guide you through the process as you go along. I would always recommend having a Facebook page for any business you have as it is a much easier way of communicating with students, fans and potential students than using your personal profile. Paid advertising is simply paying Facebook money to advertise your posts to an audience that you specify. This can help you reach more people than possible with your standard posts, but more importantly, people who show specific interests and fit demographics of your choice. These interests and demographics you decide on are known as an audience. Do you use paid Facebook advertising? For example, you could set an ‘audience’ to include people who have an interest in piano and classical music, who are between the ages of 18 and 34 and live in the same city/town as you. If you were to use that as an example, your adverts for piano lessons are going to be shown to a very targeted audience who are more likely to think about taking piano lessons. Unfortunately, it isn’t always possible to create an audience with all of your specifications, as Facebook has a limit on the minimum number of people who match the criteria. This may mean that you have to keep testing and changing certain interests or demographics you’ve chosen in an attempt to make the audience larger, but it will still leave you with a pretty specific set of people. In terms of how much to budget for paid advertising, there isn’t a specific answer that applies to everyone. It obviously depends on your financial situation and how successful your advertising is. I would always recommend having at least one attempt at paid advertising, even with a relatively small budget of £10/20. You can then see how successful the advertising has been in regards to new students or enquiries and make a decision on whether or not you feel it is working for you. When setting up your adverts, you will have a choice of what type of advert you would like to set up, based on whether you’d prefer to get more views on your Facebook page, more visitors to your website, more messages/enquiries and more. This requires having a think about what you’re hoping to achieve through paid advertising, but a good place to start is to try and increase the messages coming to your page. Fortunately, when you click through to create an advert/promotion on Facebook, it will talk you through the steps you need to take and what you need to fill in, in order to get your promotion started. You can also select the duration you’d like your advert to run for, whether that be a day, a week or longer. 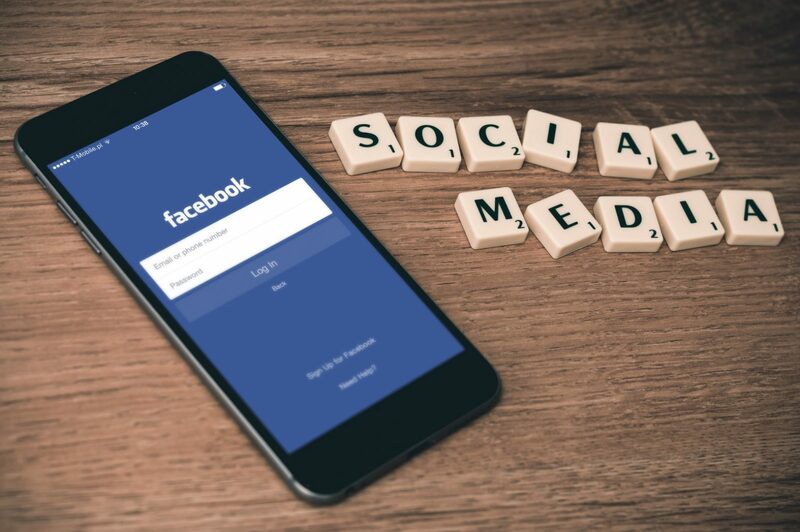 Once your advert has finished, take a look into the results and insights that Facebook offer you, this will allow you to make a decision on what went well, what didn’t work for you and also help you think of ideas on how to improve. If you decide that you’d like to start new promotions afterwards and keep advertising, I’d always advise trying out different types of adverts and targeting – this allows you to find the optimal way for you to grow your business. 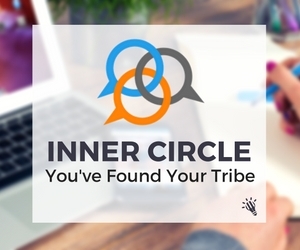 Later this year Tim will be releasing a Facebook advertising course to the Inner Circle. Click here to learn more about this community and gain access to hundreds of resources instantly. One of the best and easiest ways to attract more students through social media is to ensure you are left reviews. These are going to come from past students, current students or maybe even parents of younger students you have. Whether we’re deciding what film to go and see, where to eat or which piano is best, we all love to read reviews. Reading a review allows us to gauge the past experiences of people and allow us to get a better idea of how we want to proceed. With this in mind, it’s plain to see how reviews are a huge part in expanding a business. It’s no different with social media, you only need to see these 12 stats from Stackla to see how integral social media has become with our buying habits. On top of those facts, we all love to receive and read positive reviews of our lessons to see how much we’ve helped students and why they think we did so great. A great place to start, is to reach out to all of your current students and ones who may have just recently stopped lessons with you. These students are the most likely people to leave you a review on your Facebook page and let everyone know how great a teacher you are! Don’t be afraid to interact with these reviews either, in fact, most people prefer to see the teacher replying to all reviews left, positive or negative, as it shows they are active and appreciate any feedback they receive. Whether it’s a simple thank you or if you want to go more in-depth and commend the students on how much they progressed, take the time to reply to all reviews and show your gratitude. Obviously, no-one likes to receive a negative review, it makes us feel that our hard work and effort hasn’t paid off and we question if we’re as good as we thought but it’s just as important to reply to these and attempt to get to the bottom of the issue. Empathise with the student and try to see if there’s anything more you can do to turn their experience into a positive one. If the student sees that you’re trying to help them, it’ll make them feel a lot better about the situation and also show people reading the reviews that you truly care about giving everyone the best piano lessons possible. Make sure you also share the reviews across all of your social media profiles to show everyone how great your students think you are. For example, if someone leaves a review on your Facebook page, share it across Twitter, Instagram, your website and any other profiles you may have. This allows everyone the chance to see the review and not just the people who are only using one social media channel themselves. These tips may take some trial and error or they may seem like something you’re wary of trying, but using these techniques, teachers can widen their student base and open up new opportunities to expand their business, while also having fun along the way. With social media constantly growing and becoming more widely used, it opens up new ways for teachers to interact with students and other musicians alike. It’s also becoming one of the most effective ways of marketing and reaching new potential students with relative ease. Have you tried any of these techniques yourself already? Which do you think you’ll be trying first? Leave a comment below! Matt Jones is an SEO Executive for Tutorful, one of the UK's leading tuition providers. With a passion for both music and education, he enjoys sharing his tips on how music teachers can help grow their business and share their knowledge.